I'll admit it: I'm one of those people who are forever with their cell in hand. It wasn't always this way. In fact, for years I was deliberately not purchasing a cellphone since I really, truly detest talking on the phone. It wasn't until I started grad school and moved into a house without a phone line, that I was forced to take the plunge. My dad had joined me on the trip from Fredericton, NB to Windsor, ON to help make sure I wasn't going to be living in too much of a hovel, since I had rented the room sight-unseen. While the dining room converted into a bedroom did lack a bit more than I was expecting (a closet, windows that open, a fourth wall), it wasn't until I asked the landlord what the phone number of the house was, that I discovered the predicament. "What? Aren't you like 20? Don't all you girls have cellphones now?" He was a real charmer, by the way. "Well, there's no landline in this house. Guess you'll have to get one." I often use my phone for making shopping lists so that I easily can access what ingredients I need to buy at the grocery store. 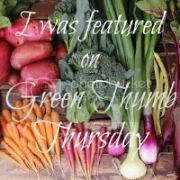 While I generally have a set-list of items that I purchase on a trip (dictated by what arrived in my weekly meat, veggie, and egg CSA), I'm also always on the look out for sale items (who isn't?). However, I've also been trying to stick to my convictions and avoid brands that do not align with my values. While I can easily remember the worst (Nestle for water privatization issues, among other things) sometimes it's difficult to remember all the companies I'm trying to avoid. It's totally easier to just support the brands I believe are okay...but what about that new box or shiny package that catches my eye? 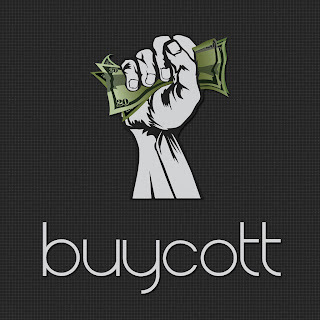 What I like the most is that the boycotting, or "buycotting" is entirely self-directed. The user determines what issues are important to her and selects the campaigns in which she would like to participate. Once at the store, just scan the barcode using your smart phone and the app will tell you if it's on your list of products to avoid, or if there's no purchasing conflict with any of your campaigns. Though, ultimately, the purchasing power still remains with the individual. The app is just providing quick access to information. The two main campaigns that I'm participating in are "Say No to GMO- Monsanto Products Boycott" and "Avoid Big Tobacco." They're both issues that I want to be conscious of and conscientious about my related purchases. I've found that Buycott is making it easier for me to do so. If you're looking for similar help, I definitely recommend this app. And bonus: it's free. First of all, LOL on your technology addiction, and still not actually using your phone to make a call (totally me! what? It's ringing? Should I answer it?!?!). Secondly, good to know about the app. I have been hearing about it but have neglected to download it because I need to delete some apps to make room. Will definitely do that now. It certainly sounds like it will help me get over my whole, "holy crap I'm so tired of having to be a scientist/researcher every time I want to make a purchase" and spend hours on line looking things up.